Whether you like to sunbathe, play with the kids outside or throw big parties, summer is a great time of the year. If you’re into your technology, though, there’s plenty out there that can make summer even more fun. A camera with video capabilities would be best. You might get yourself a waterproof case for your normal camera or you might go all out and get something rugged that will last even when you’re underwater in the middle of nowhere. Let’s face it. Not all of us want to spend summer outside. If that sounds like you, invest in a super-fast gaming laptop that you can take with you on your travels or while visiting family. You don’t have to be completely anti-social but if you get bored easily, at least you have all those games at your fingertips. 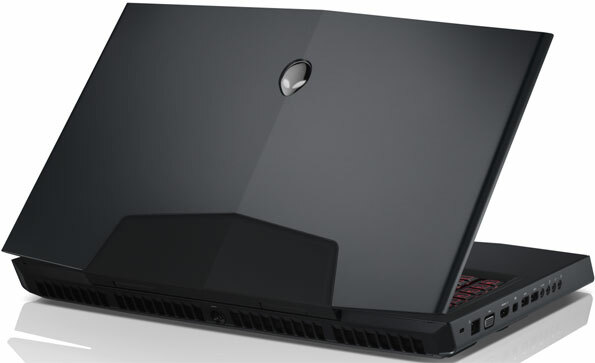 Check out Alienware laptops for gaming power. Not only are these speakers waterproof but they also float. Perfect for rainy hikes, a trip down the river, or a water fight in your back yard. Check out all the important details and specs here. This is a fitness band that looks pretty and is also waterproof. It’ll help you to stay active over the summer whether you prefer walking, cycling, running or swimming. This is an app from the same people behind Zombies! Run. It’s set before the popular running app, in terms of story. It’s designed to get you walking to find out more about the zombie invasion. It gets you out of the house and into the sunshine but all the while you’re exercising, you’re actually playing a game. Geeky, very. Fun, very. If you struggle to get out of the house, this gives you a reason. This family of thermometers is fantastic for anyone who loves cooking and likes a gadget too. 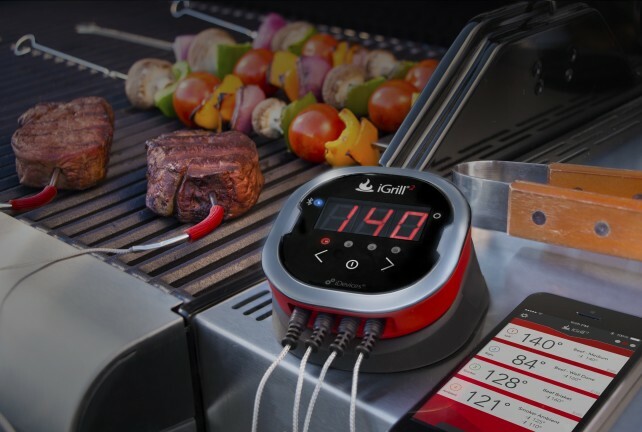 Knowing exactly when to take your meat off the grill has never been easier. Just insert the iGrill probe into the meat you’d like to track, let the free app know what you’re tracking and leave your iGrill by the side of your barbecue or grill. For those of you who love gallivanting off on a road trip, you’ll need to know how to get around. There’s something very satisfying about looking at a map and choosing your own route but sometimes you just need a device that will tell you where to go. This eReader is perfect for anyone who likes to sit out in their back yard and get stuck into a good book. If you’re off on vacation, this small device is much more preferable over three or four heavy books. It gives you the opportunity to read more than you ever have and that wonderful screen isn’t affect by sunshine like laptops and tablets are. Rather than having wires trailing all around you rgarden, get yourself a Bluetooth speaker system that will run off battery power. These vary in price from the relatively cheap to the very, very expensive. If you’re going to be having a lot of garden parties, go for these Bose FreeSpace speakers. They’re completely weather proof and blend in with their environment. We’ve already touched on some of the coolest barbecues out there in a recent post. Take a look at it here. What gadgets will you be using this summer?